In the last 30 years, only two NBA players have appeared in nine Finals: Magic Johnson and LeBron James. But not since Bill Russell has any player gone to the championship round eight consecutive times, and there has never been a player in League history to make the Finals with a team that was completely remade in the middle of the season. 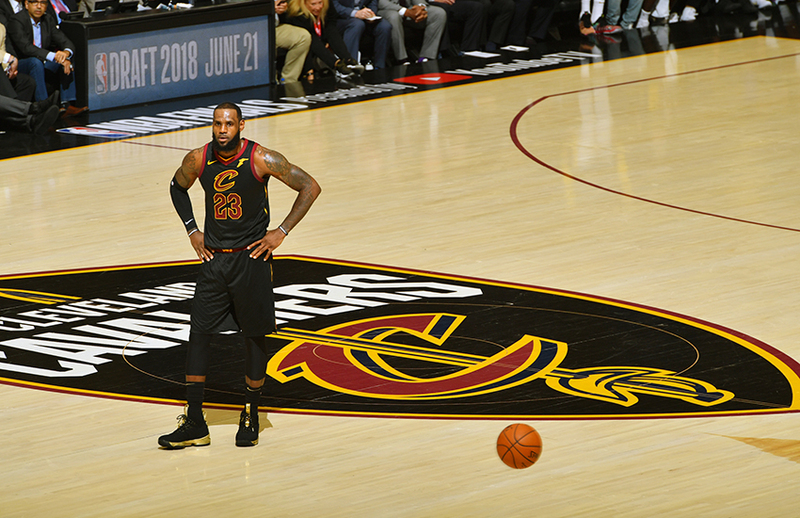 The Cleveland Cavaliers loss to the Golden State Warriors this year was certainly to be expected, but no blame can be placed on LeBron’s shoulders who did everything he was physically able to do to try and help his team win, but it wasn’t enough. 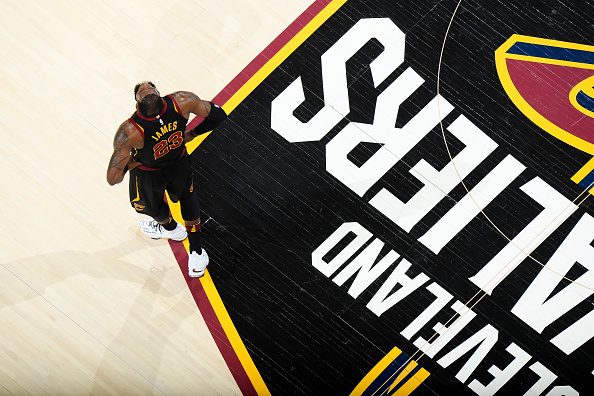 Now Cavaliers fans are once again faced with the prospect of losing the King and rebuilding a franchise that has been one of the League’s most formidable with LeBron James in a No. 23 jersey. The last time it happened, the Cavs were fortunate enough to be blessed with three No. 1 picks—Kyrie Irving, the regrettable Anthony Bennett and Andrew Wiggins (the latter two were part of a swap for Kevin Love) to restock and subsequently, aid in LeBron’s return and the franchise’s first championship. Where LeBron goes from here is anyone’s guess. But make no mistake, the only place the Cavs are going upon his departure from Cuyahoga County is at the bottom of the Eastern Conference standings. Management’s decision to blow the team up at the trade deadline was arguably one of the biggest shockers in the history of the NBA and certainly this season. No team—especially one that were in the Finals a mere months ago—has ever employed this kind of strategy and still achieved the success of making it to the NBA Finals and playing for a championship. This just underscores the greatness of LeBron, but also shines light on a front office whose decisions have been rightfully questioned the past few years. LeBron was bestowed the heavy “Chosen One” moniker even before he shook the NBA Commissioner’s hand and he’s done what few can do: outperform the hype. LeBron’s career has seen him: play 44,298 minutes—plus another 10,049 in the pressure-soaked postseason, score more than 31K points, 8K rebounds, 8K assists, win three titles and an equal number of Finals MVPs and capture four League MVPs. LeBron has a player option which he will exercise to explore his free agency options. 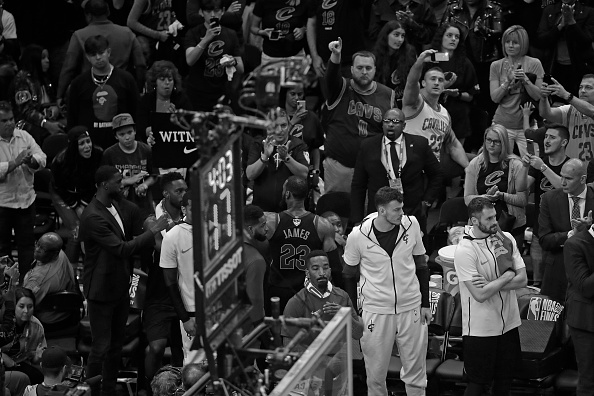 At 33 years old (34 in December), on the back end of his prime, going into his 15th season and having delivered what seemed unthinkable just a few years ago: an NBA Championship to Cleveland, LeBron has earned his right to put himself in the best position to win another title or two before he calls it a career. There won’t be any jersey burnings this time around if LeBron leaves, but a hero’s sendoff, knowing that he will return one day to raise jerseys and unveil statues. The rumor mill has James linking up with Paul George to play in Los Angeles for the Lakers, as well as with his best friend Chris Paul in Houston and in San Antonio for Gregg Popovich and the Spurs. The Warriors might even be booking house in the Hamptons. That said, every NBA team, no matter how much of a longshot, likely has an elevator pitch ready for a player who instantly makes them a contender. But no matter how you slice it, the chances of him returning to Cleveland seem especially slim at this point. This is the Cavaliers biggest problem at the moment, but it doesn’t end there. 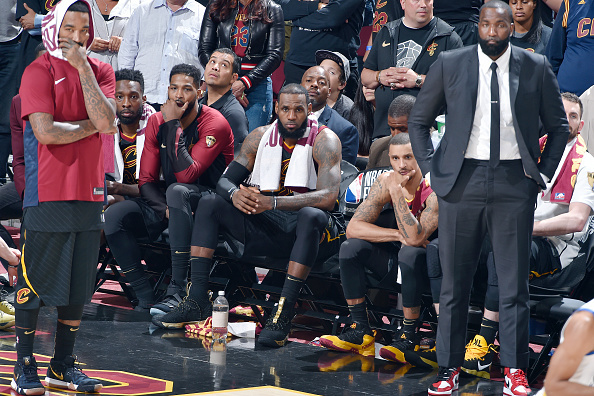 Head coach Tyronn Lue stepped away from the team in mid-March due to severe chest pains, which has led to questions of whether the stress and pressure of manning the sidelines for a title contender has become too much for him. While Lue himself has said he’ll return next season, what his team will look like is anyone’s guess. 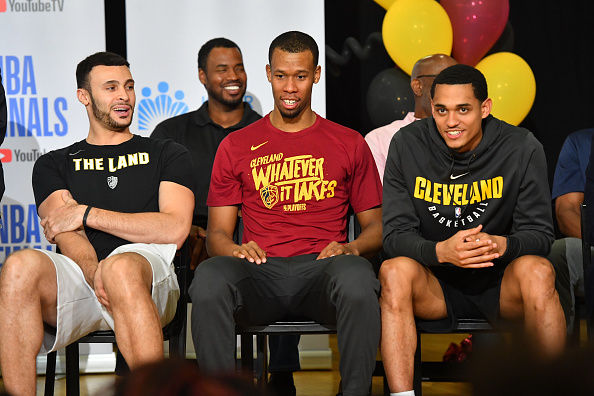 As far as the roster goes, Cleveland has three unrestricted free agents this summer, two of which won’t likely won’t return in Jose Calderon and Kendrick Perkins. The third, Jeff Green, proved himself to be a valuable asset—at times, most notably his 19-point Game 7 performance to help clinch a Finals berth—will likely be kept on board if James stays. Another open situation involves Rodney Hood, who is a restricted free agent, and was frustrated by his lack of playing time in the playoffs, and especially the Finals. The 25-year-old wing, who has a history of injuries but also potential, will garner a lot of interest around the League this summer. If Lue didn’t see fit to play him, it seems highly unlikely the Cavs will match an opposing offer sheet if he were to sign one, although the Cavs have his Bird rights and can pay him the most money. Outside of those issues, the overarching problem the Cleveland has at this point is a complete lack of talent outside of LeBron, who is completely irreplaceable. If there is a hopeless situation in the NBA, it’s definitely this one. However, with James’ expected departure hanging over the team like a dark cloud, one ray of sunshine is the Cavs’ unexpected lottery pick (part of the return—at this point, the only viable asset—from the Irving trade) upcoming NBA Draft. Of course, there is no player in this class with the talent or potential as LeBron, if they do decide to make a selection, but it goes without saying the team can’t miss on this. Whether they actually draft a building block or package the pick and a player—such as Kevin Love, who makes no sense to keep if LeBron is gone—the future in Cleveland is bleak. The team has some solid young pieces in Jordan Clarkson, Hood and Larry Nance Jr., the team as presently constructed should be blown up. This means not only moving Love, but also finding a way to unload the contracts of useful veterans George Hill, J.R. Smith, Kyle Korver and Tristan Thompson, all of whom are owed sizable amounts of money over the next two to three seasons. These players were added to the roster as complements to James. If he’s not there, then it makes no sense for them to be either. At this point, Cleveland should embrace a full rebuild and focus on developing their younger players while preparing for the future. 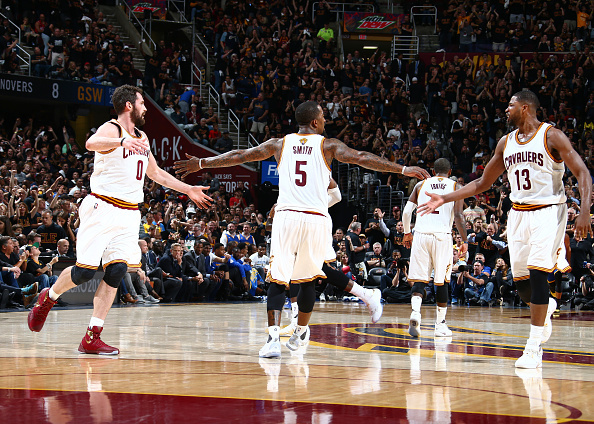 All things come to an end, and the Cavaliers run as contenders is just about over. There’s no shame in that and the success they’ve achieved as a result of LeBron’s greatness was good for the League. But now it’s time to move on and embrace whatever the future has to bring.